Ben zo blij dat de Helleborus niger bloeit. Toch wat vrolijks in de tuin in de winter ! De andere soorten bloeien nog niet, meestal gaan die wat later bloeien. The beautiful white flowers of Helleborus Niger. They lighten up the dull gray winter days. The flowers of Love-in-a-mist aren’t there anymore but now they are still beautiful. There were only a few seeds in the garden. 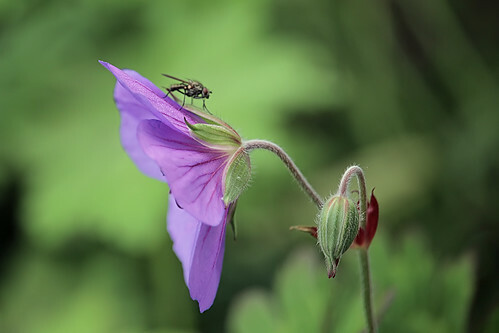 The beautiful hardy Geranium Rozanne flowers very long. This is what I found on the internet about Rozanne. De prachtige langbloeiende winterharde geranium Rozanne. Ik was op internet aan het zoeken of er ook langbloeiende geraniums zijn en ja hoor, dit is de informatie over Rozanne. It seems it is butterfly time. There are so many beautiful butterflies in the garden. They are flying around in the garden looking for the best flowers, the best place to eat. The Buddleja, of course, seems one of the most populair butterfly plants. 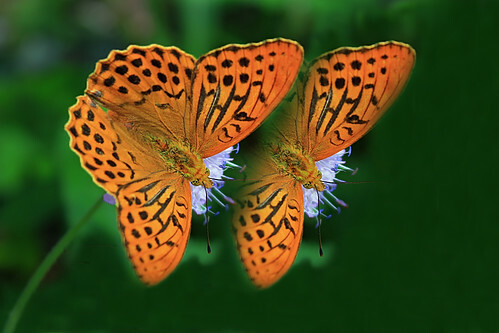 It seems to be very attractive to the butterflies. This wonderful butterfly was sitting on a Scabiosa flower. A darker one was visiting the Buddleja. 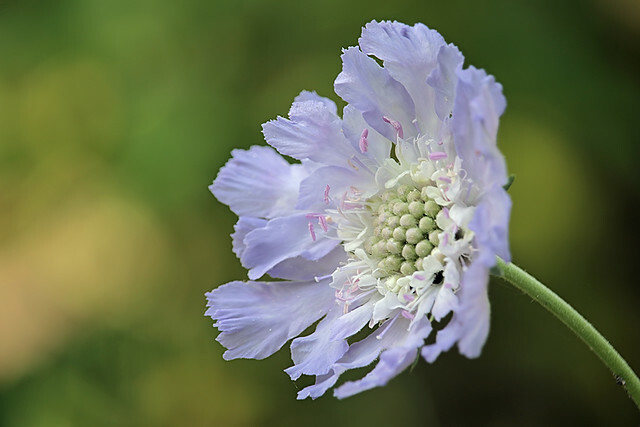 Scabiosa Caucasica is one of my favorite plants. 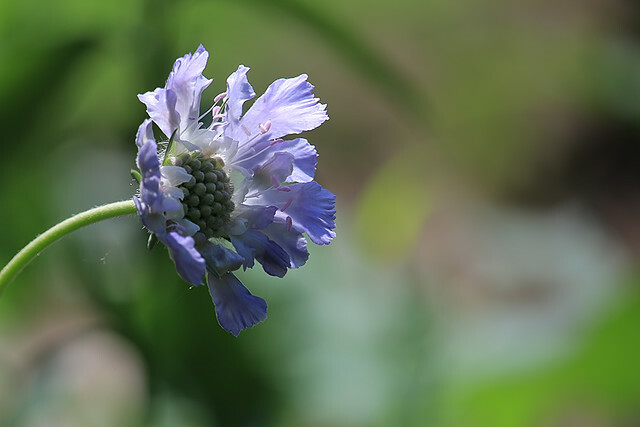 The flowers are wonderful, more beautiful, I think, than the other Scabiosa species. Dit is een van mijn favoriete tuinplanten, Scabiosa caucasica (Duifkruid). Ik heb ook een andere Scabiosa maar deze, de caucasica is zo mooi. Golden Celebration een sterk ruikende Engelse roos. Heel mooie bloemen. Onderstaand stukje vond ik op internet over de David Austin rozen. Fragrance has always been a guiding light to the breeding of David Austin English Roses. Recently, David Austin’s senior rosarian, Michael Marriott catalogued a compendium of the breeder’s top fragrant varieties. Boscobel has a delightful medium to strong myrrh fragrance with a hawthorn character and hints of elderflower, pear and almond. Details: repeat-flowering, beautifully-formed flowers of a rich salmon color that changes over time to rich deep pink. Approximately 80 petals per flower. Glossy foliage. USDA Zones 5-9. Claire Austin presents a strong myrrh fragrance with dashes of meadowsweet, vanilla and heliotrope. Details: repeat-flowering, pleasingly cupped buds of a pale lemon shade, which gradually open to form large, creamy-white flowers. Approximately 120 petals. USDA Zones 5-8. ‘Gentle Hermione’ is strongly perfumed with a warm classic Old Rose scent and a hint of myrrh. The variety bears some of the most perfectly formed flowers of true Old Rose character. The color is pure pink with soft blush on the outside and a lovely pure pink at the center. It has excellent health and is particularly resistant to rain. Details: excellent repeat-flowering, grows to 4’ tall x 3’ wide. Approximately 90 petals. USDA Zones 4-10. Gertrude Jekyll has a powerful and beautifully rounded perfume considered by many to be the quintessential Old Rose fragrance: strong, rich, complex and perfectly balanced. Details: repeat-flowering, large rosette-shaped flowers in rich glowing pink. Approximately 80 petals. USDA Zones 4-8. Golden Celebration is known for its magnificent Tea fragrance that changes to a wonderful fruity scent with hints of citrus or lychee. Details: repeat-flowering, exceptionally large cupped flowers that are beautifully-formed and full-petaled, rich golden-yellow color, particularly good winter hardiness. Approximately 75 petals. USDA Zones 5-9. Harlow Carr is a heady Old Rose scent that fits perfectly with its classic Old Rose form. The fragrance has been described as a “true rose” floral scent. Details: repeat-flowering, perfectly-formed, medium sized flowers of purest rose pink, performs well in both hotter and colder areas. Approximately 120 petals. USDA Zones 4-10. Jubilee Celebrationfeatures a bold fruity fragrance. The scent of the young flower is almost pure lemon zest, later becoming a delicious fruity rose fragrance with hints of fresh lemon and raspberry. Details: repeat-flowering, large domed flowers in rich pink tinged with gold on the petal undersides. Approximately 90 petals. USDA Zones 5-10. Lady Emma Hamilton has a fragrance that’s strong and deliciously fruity with hints of pear, grape and citrus. The scent perfectly complements the rose’s tangerine-orange and yellow coloring. Details: repeat-flowering, best in drier conditions, cupped flowers in rich shades of orange, apricot and yellow. Approximately 45 petals. USDA Zones 5-9. Munstead Wood features a strong Old Rose scent highlighted by warm, fruity notes of blackberry, blueberry and damson. It’s a classic rose perfume described by floral fragrance expert Robert Calkin as “a real red-rose fragrance.” Details: repeat-flowering, large shallowly-cupped flower in deep velvety crimson. Approximately 74 petals. USDA Zones 5-10. Princess Alexandra of Kent has a delightful fresh Tea fragrance that over time takes on a lemony-scent, ultimately with hints of black currant. Details: repeat-flowering, unusually large flower with full-cupped shape and rich, warm glowing-pink coloration. Approximately 130 petals. USDA Zones 5-10. Scepter’d Isle offers a distinctive, award-winning fragrance that can be described as powerful English myrrh. Details: repeat-flowering, cupped flowers in soft blush pink, winner of Royal National Rose Society’s Henry Edland Award for fragrance. Approximately 45 petals. USDA Zones 4-10. The Generous Gardener is known for an award-winning fragrance that’s a delicious mix of Old Rose, musk and myrrh. When trained as a climbing rose, its scent hangs beautifully in the air. Details: repeat-flowering, large flowers reminiscent of water lilies in palest pink. Approximately 55 petals. USDA Zones 4-9. The Lady Gardenerhas a strong Tea fragrance with hints of cedar wood and vanilla. Details: Repeat-flowering. Its gorgeous deep apricot semi-double flowers are four-inches in diameter. Approximately 65 petals. USDA Zones 5-10. The Poet’s Wife received a top-ranked score of 5 out of 5 for fragrance from Austin’s official “Rose Nose,” scent expert Robert Calkins. He described its scent as Old Rose with strong hints of unripe lemon rind, peach and mango that becomes stronger and sweeter with age. For the lay nose that translates to a rich fruity citrus fragrance that sweetens. Details: repeat-flowering, fully-double yellow flowers that are unusually rich in color. Approximately 77 petals. USDA Zones 5-10. ‘Wollerton Old Hall’ is one of the most fragrant of all English Roses. It has a strong, distinctive myrrh scent with a delicious citrus element. Details: Repeat-flowering, plump buds, with attractive flashes of red. The flowers open to form beautiful chalice-shaped blooms of soft apricot, that pales to creamy white over time. Approximately 45 petals. USDA Zones 5-10.